"For thus says the High and Lofty One who inhabits eternity, whose name is Holy: I dwell in the high and holy place, and also with those who are contrite and humble in spirit, to revive the spirit of the humble, and to revive the heart of the contrite.... Peace, peace, to the far and the near, says the Lord; and I will heal them" (Isaiah 57:15-19). You inhabit eternity. And at the same time, in the mystery of faith and the trans-dimensional nature of Your Presence, You also inhabit us. And it's humility that welcomes Your habitation. As I humble myself in Your sight, You lift me up (James 4:10). As I humble myself in Your sight, I draw near to You and You draw near to me (James 4:8). When I acknowledge my desperate need of You, my desperate dependence upon You alone, You fill my heart with Your Presence and revive my spirit with Your Life. "Blessed are the poor in spirit, for theirs is the kingdom of heaven.... Blessed are the pure in heart, for they will see God" (Matthew 5:3-8). When heaven infuses my heart, eternity infuses my present. When the Presence of God fills my heart, my heart is full of the hope of eternity and my heart is full of "the High and Lofty One who inhabits eternity." That's how You created me, and that's how You've created me to experience You and the eternity of Your Presence right here, right now, in my present. You "put eternity in (our) hearts" (Ecclesiastes 3:11 NKJV). So You invite me to pray with expectant faith that my spirit may be infused with Your Spirit, that I "may be filled with all the fullness of God" (Ephesians 3:19 and 5:18). My body is Your temple; my heart is Your home. And Your Word asks of us as Your children and Your disciples, "Do you not know that you are God's temple and that God's Spirit dwells in you? ... God's temple is holy, and you are that temple" (1 Corinthians 3:16-17). You've prepared a place for me, and You invite me to prepare a place for You -- right here in my heart, where Your eternity infuses my present -- saying to all who have ears to hear and a heart to receive, "where I AM, there you may be also" (John 14:3). "Anyone united to the Lord becomes one spirit with Him" (1 Corinthians 6:17). So come, Holy Spirit -- Spirit of the Living God. Come live in me; come dwell in me; come fill Your temple with Your glory, as Your eternity infuses my present and Your Presence infuses my spirit. You've put this desire of eternity in my heart, just as You've put this passion for this unity and intimacy of communion with You in my spirit. So come, be One within me, as You make me one with You -- Father, Son and Holy Spirit of God (John 17:20-26). In Jesus' name I pray. Amen. Beloved one, I pray God's Presence infuses your present, with His glory filling the temple of your heart, as you draw near to Him in humility and He draws near to You in His intimacy and love, in Jesus' name! Please pray the same for me. God bless you, my friend! Morning by Morning. 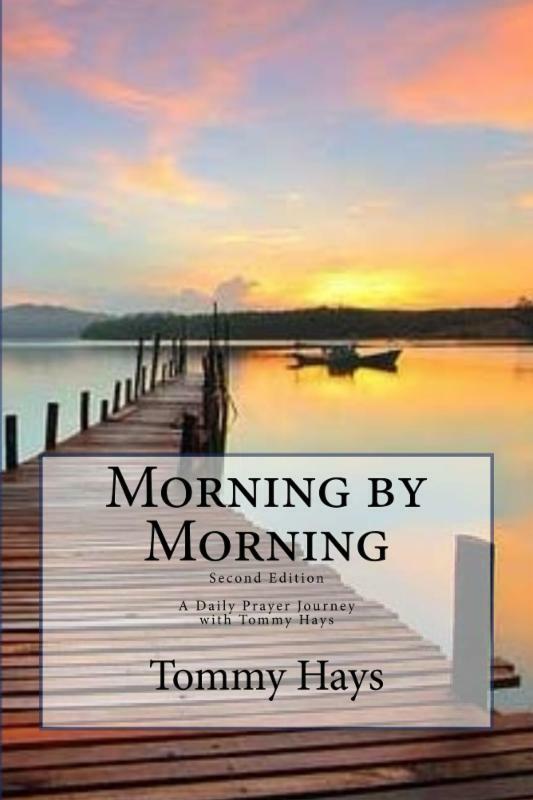 Order my 365 Day Prayer Devotional for yourself or a friend to begin the New Year starting off each day embraced by the Father, centered in Jesus, and filled afresh with the Holy Spirit. Register for the Healing Academy. NIV As the deer pants for streams of water, so my soul pants for You, my God. 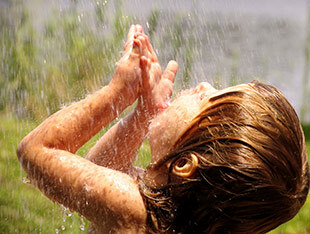 My soul thirsts for God, for the living God. When can I go and meet with God? NLT As the deer longs for streams of water, so I long for You, O God. I thirst for God, the living God. When can I go and stand before Him? NIV Out of His fullness we have all received grace in place of grace already given. NLT From His abundance we have all received one gracious blessing after another. John 15:4,5 Remain in Me, and I will remain in you. Just as no branch can bear fruit by itself unless it remains in the vine, neither can you bear fruit unless you remain in Me. NIVThey go from strength to strength, till each appears before God in Zion. NLT They will continue to grow stronger, and each of them will appear before God in Jerusalem.